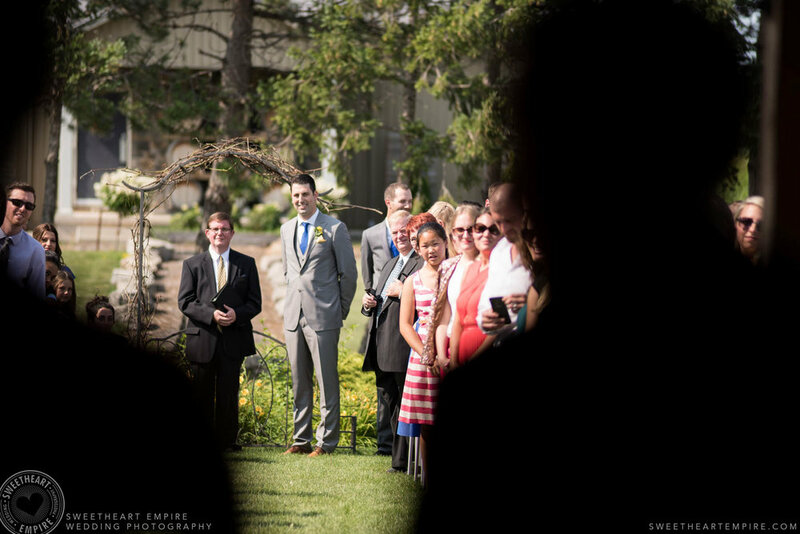 Joe and Courtney had a beautiful outdoor wedding at Rockway Vineyards Golf Course in St. Catharine's. 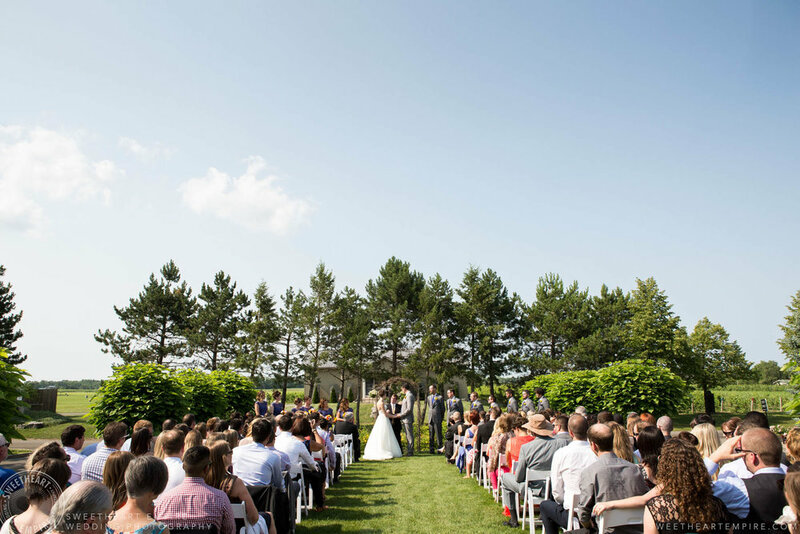 It was the perfect day for a vineyard wedding. After getting ready at the Haven of Hope llama farm across the street (yes, you heard that right!) the ladies drove themselves to the altar on golf carts, where family and friends were waiting. 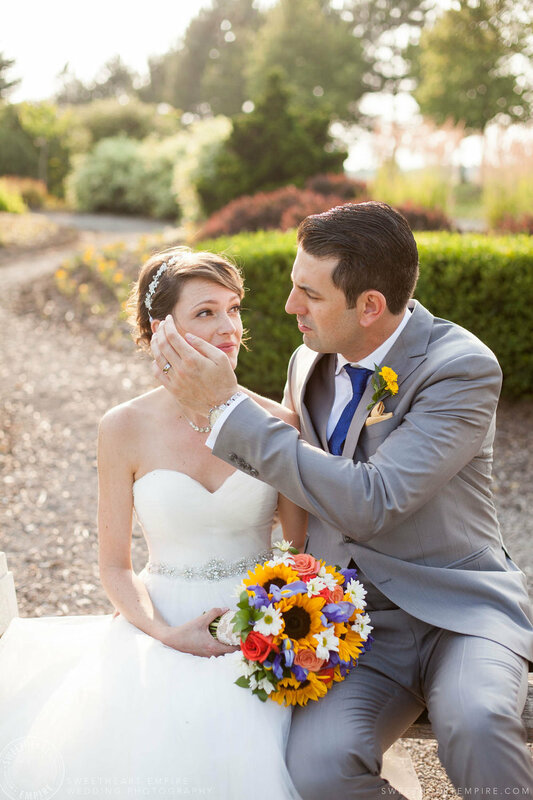 Surrounded by summer flowers and under the afternoon sky, Joe saw his bride for the first time as she walked down the aisle with both her parents. 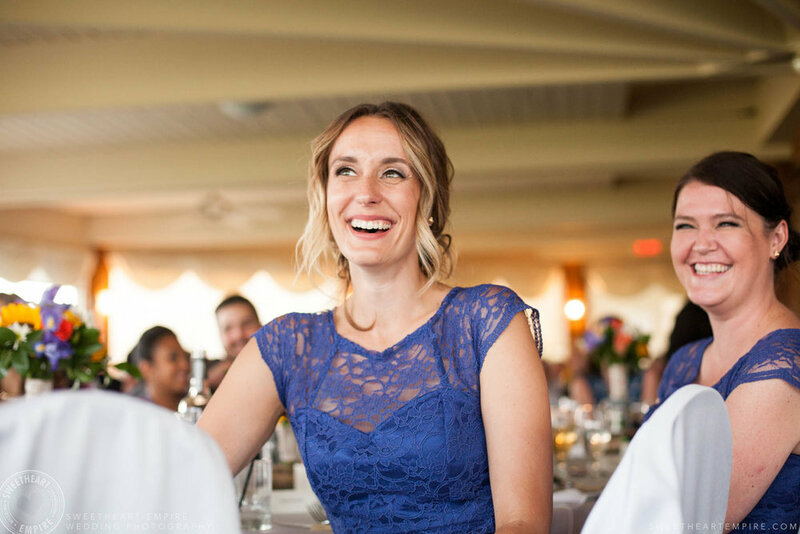 Although I witnessed the joyfulness between these two, during their engagement session, I'll never forget the look on Courtney's face as she walked – she was beaming with happiness! The ceremony was followed by a gorgeous outdoor cocktail hour, while the newlyweds enjoyed strolling through the vines in the setting sun. Golden hour. One of my favourite moments was when we decided to move locations for newlywed photos. As a shortcut, Joe lifted Courtney up and carried her over some shrubbery, like it was perfectly normal to transport other humans that way. Recently I photographed Courtney and Joe for their two year wedding anniversary, and I had the great pleasure of meeting their brand new little baby. Joe & Courtney, it's been such a fantastic time getting to know you and your families. I'm so happy for you, and can't wait to see you all again! "Kate's style is what drew us to her in her ability to capture moments in time....She was really good at creating emotion and then shooting that emotion." Click here to read the whole review. Check out Courtney & Joe's downtown Toronto engagement photos here. Thank you to the creative team!